To my lovely wife: Happy Anniversary! (And they said it would never last!) I love you! 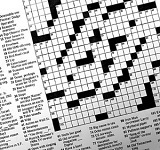 Hopefully you can get a chance to look over the above crossword. I made it with you in mind! 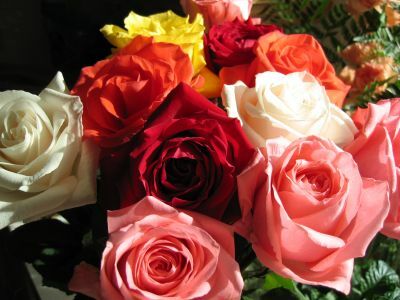 For the regular readers of this blog, today (8/31) marks my wedding anniversary. Hence the above puzzle. It might be a bit trickier puzzle than normal, but for those who've been paying attention, it probably wouldn't be bad at all. 1,001 apologies to those if this one made no sense. The moral, as always, is: you never know what's going to be included on the test. So pay attention to the rambles! Thanks for all the comments while I was away last week. I'll try and get to them in time. And yes, Nantucket was amazing. Thanks for asking. Also thanks to all who contributed last week. 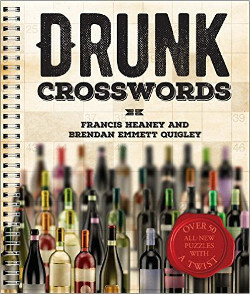 As promised, one donor would receive a copy of "Diagramless Crosswords." Bridget O'Brien-Mitchell, send me an e-mail and I'll hook you up. Update: I forgot to post these two things on Friday, so, better do them now. My Visual Thesaurus puzzle for August is up, click here to do that. Also, puzzlemaker Eric Berlin has assembled a lovely suite of puzzles on his site. He too is doing the indie/DIY/Internet-only route, so us mavericks gotta support each other. If you have the time, please go here and check them out. Thanks.